Designers of the future. Russian Fashion Council presents a new education project. Futurum Education project kicks off on March 31 in the Museum of Fashion. Top tutors in the sphere of fashion education, working experts and influences will give lectures and workshops. Futurum Education is an education project arranged at the new creative venue of the Museum of Fashion. Polimoda, IED (Istituto Europeo di Design), BHSAD (British Higher School of Arts and Design), HSE (Higher School of Economics), MAIU (Moscow Art and Industry University) and other Russian and foreign universities will join: every hour of the day, tutors from 19 schools, recognizable at the fashion education market, will give classes based on real fashion design training programs. To join the event, please, follow the link to download an invitation. Olga Mikhailovskaya, creator of Telegram channel @frontfashion, founder of Front Fashion School, fashion reviewer for Vogue Russia and Kommersant, will give a lecture about "Who needs fashion journalism in the era of digital media, instant information transfer and optionality of expert opinions, and why? Why professionals, when there are amateurs who seem to do admirably? What does it take for an amateur to become a professional?" Lina Dembikova, founder of StyleHunter School, will tell the audience how to overcome self-development drawbacks and move to a new level of creative evolution. 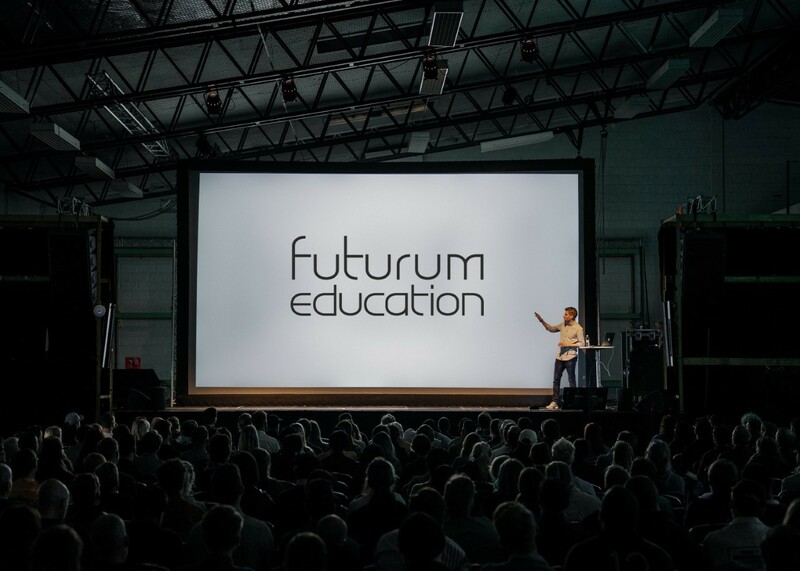 The initiative of Futurum Education has been supported by peers from the Italian IED University (Istituto Europeo di Design), which uses its education standards for efficient practical student training. University students undergo their training with globally famous brands, and moreover, they are offered scholarships for starting and developing their business in the sphere of fashion. IED (Istituto Europeo di Design): "We scout for talents all over the world, and thanks to the progress of our Russian graduates like Alexandra and Taisia Makshanovs, founders of 26/11 brand, whose graduate collection we're going to present, we're aware that Russia's creative potential is great and unique." Subjects of lectures and workshops: design of the future, trends in education, ways of approaching the fashion market, first steps and further promotion for emerging brands. POLIMODA: "In many respects, success education depends on how efficiently the university and the student collaborate. POLIMODA believes it's important from the very start to gain an insight into aspirations and interests of students to be able to train them for work in the fashion industry in the best way. It is amazing that Futurum Education offers a platform for such collaboration. It is a great opportunity for us to discover new talents in Russia." BHSAD: "Futurum Education brings down a wide range of education initiatives in the sphere of fashion training at one venue. For us, it is a good opportunity to tell the audience about ourselves, to exchange international experience in fashion design training and meet our colleagues. We'd love to be of use at the event, so we gladly present our speakers from BHSAD and bring works of our students that extend conventional vision of fashion and how it is made." Futurum Education is not just an opportunity of learning something new in the fashion industry. It is a chance of meeting fashion leaders, asking them questions and earning their support for future projects.